Bootstrap is a framework of HTML, JS, and CSS mainly used to develop responsive, and mobile first projects on the web. Bootstrap focuses on front-end web development and makes it easy. 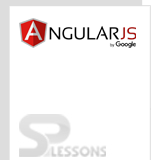 AngularJS and Twitter Bootstrap are great frameworks and used together in projects. These two tools have improved the CSS and JS functionality on the front-end. Changing the view based on Angular data is a good practice. Bootstrap JS components give a chance to take in the contrasts between how jQuery and Angular are utilized to accomplish the same results in an unexpected way. (like an accordion). This problem returns to the rule to not to use the jQuery in projects. The way jQuery attempts to control data in views impacts with Angular to control the views. UI Bootstrap is a solution for this, where the frameworks are built by a team of AngularUI that adds numerous segments to augment Angular. The UI Bootstrap doesn’t utilize jQuery and directive are worked from the base for every Bootstrap JS component. AngularJS Bootstrap is a framework of HTML, JS, and CSS mainly used to develop responsive, and mobile first projects on the web. UI Bootstrap helps to built the frameworks by a team of AngularUI that adds many components to extend Angular.